branded sales tool for your client's website. The Custom Builder creates custom virtual tours using existing Google tours and other digital content. Panoskin Custom tours are completely customizable and the tool is Free to use. and campus maps to create a comprehensive sales tool. Let Panoskin work for you. We believe Panoskin is your tool. Modify the internal Panoskin dashboard with your company's brand, colors and logo to make Panoskin your own. Custom Google tours have never been easier. Our Auto-Builder tool lets you quickly structure your client's custom tour to align with their brand. Leave the invoicing to Panoskin. Our integration with Stripe allows you to monitor client billing from directly inside the platform. 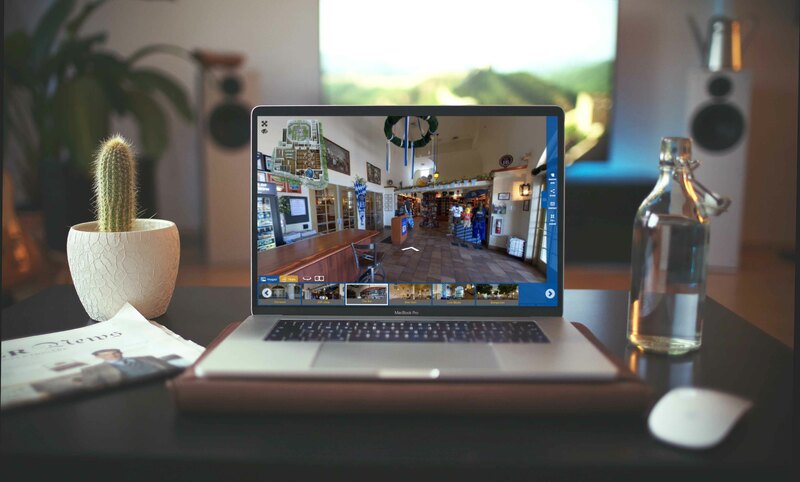 Your customers will have access to their real-time access of the custom Panoskin virtual tours you create. Clients will have the ability to share Panoskin viewers via social, email and embed content directly on their website. All Panoskin tours are equipped with VR ready technology, so your clients can impress customers with any VR headset. Let clients showcase floor plans they have available directly in the Panoskin viewer, increasing conversion rates. Panoskin is more than a virtual tour viewer. Let your clients add any video or photos in unique content tabs. 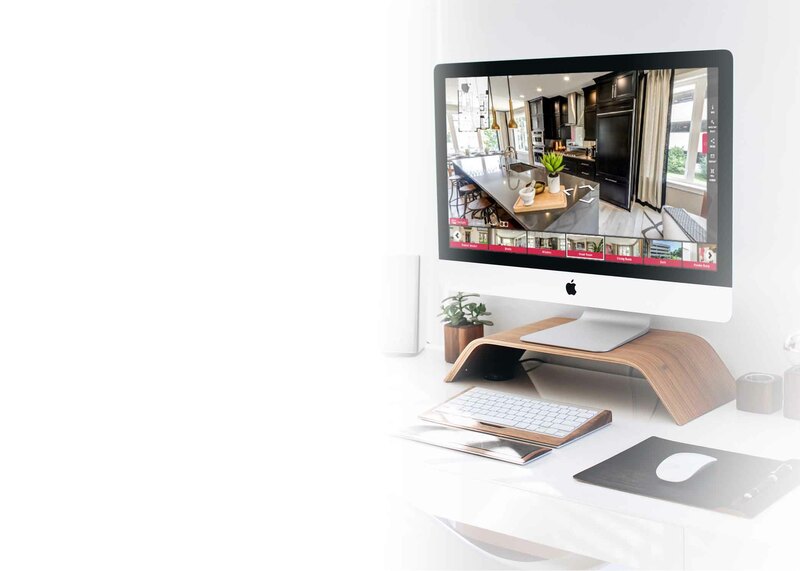 Your clients can log in and host their own virtual tour meetings with their customers from any location or device. 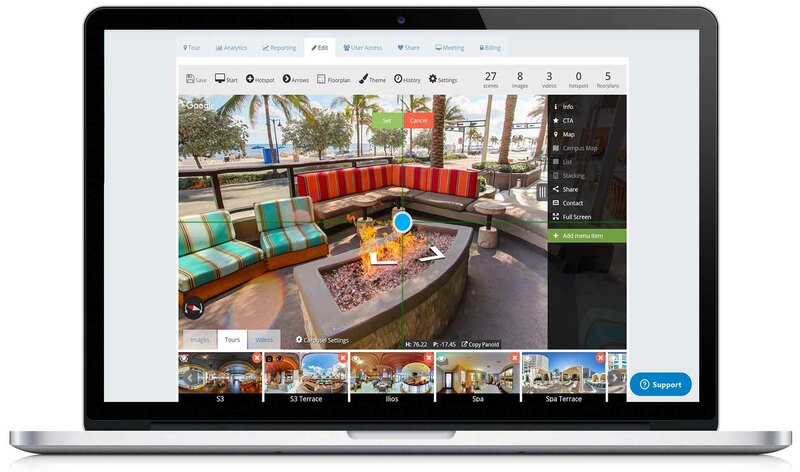 See how digital creators are already leveraging Panoskin custom tours for their clients. The Custom Builder is included with all plans. Earn recurring profit when you sell and build custom tours. while you earn a recurring profit from their hosting fees. 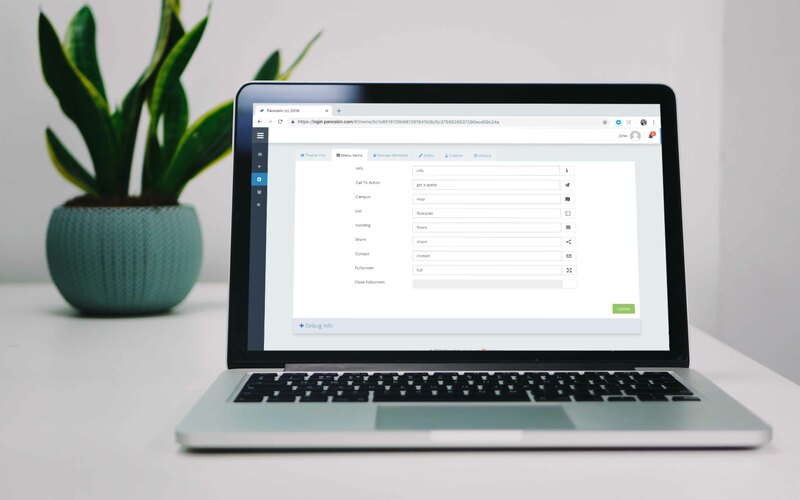 Panoskin uses Stripe Connect to offer convenient built-in invoicing for your clients. As a result, a small fee will apply if you choose to create an invoice using Panoskin's billing system. Is the Custom Builder free? The Custom Builder is available free of use with all plans. Create hosting plans for your clients with your own prices or use our suggested retail prices to earn recurring profits. How do the plans work above? The plans above are examples of hosting plans for your clients to pay on a yearly basis (suggested retail prices listed). For example, your client may pay $200 a year and you will earn a portion of that hosting fee through Panoskin + any additional charges you add. Once inside the tool, there are options to charge your client anything you wish for their hosted virtual tour which would affect your profit. Can I add on charges when billing a client? 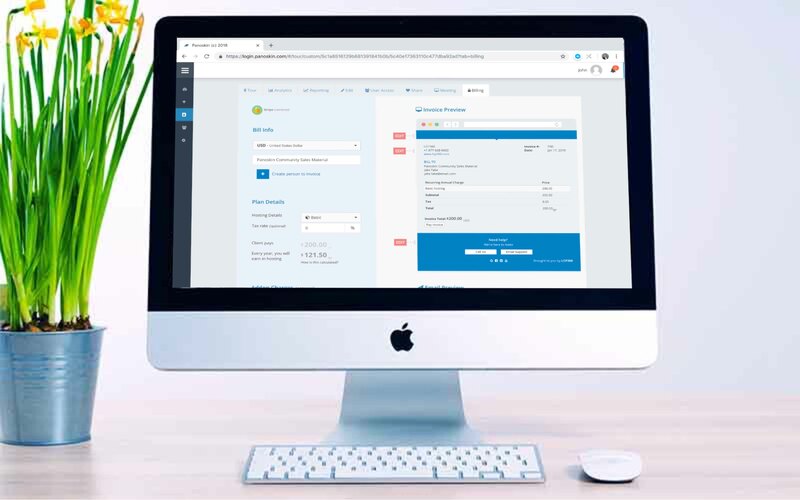 Panoskin's built-in invoicing system for custom tours will allow you to include any additional charges or tax rates, which will be added to their final invoice. How long will I earn the recurring profit? As long as your client continues to pay to host their virtual tour, you will receive an annual profit. Your clients will be notified with an invoice from you on a yearly basis to renew. Will my invoice have Panoskin branding? No, any invoices you create for your customers will not have Panoskin branding, colors or logos. We give you complete control over branding your invoice with your company name, logo, colors and a unique invoice email. Do I have to use Panoskin's invoice tool? No, you are not required to use Panoskin's invoice tool to charge your clients. You may charge your clients through any billing method you choose outside the platform. You will still earn a significant portion of their hosting fee. Our invoice tool is designed for your convenience to bill clients directly through Panoskin with branding and an easy-to-track system. What if my client runs out of virtual tour loads? When there are less than 10% loads left for the tour, we will email a notification using your branding and HTML email settings. Your client will have the option to purchase more loads at a rate of $11.20 per 1,000 loads, or will have the option to provide their own API key. $11.20 per 1,000 loads pricing is based off Google's API Price Table. What if my client wants to add more to their tour? If your customer wants more scenes, photos, or additional digital content beyond their current plan, you may upgrade their hosting to incorporate any new charges and add these digital assets to their current tour. How does invoicing work if I'm outside the U.S.? If you are outside the United States, totals on your invoice will be estimated as exchange rates can fluctuate on a daily basis. 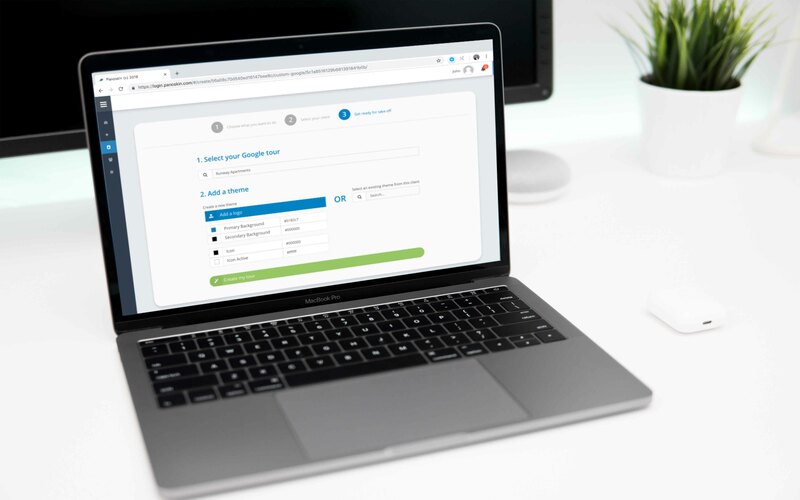 If you have customers outside the United States, and need to charge additional tax fees, you will have the option to do so within the built-in invoicing system. What invoicing software does Panoskin use? Panoskin is integrated with Stripe to allow flexible and easy invoicing to your clients. Our goal is to eliminate the hassle of creating your own invoices. Instead, Panoskin has built-in invoicing capabilities to easily charge your clients for custom Google tours. Is the invoicing tool available for Google tours? Panoskin's invoicing tool is only available for custom tours. What if my client wants to stop using their tour? Once a customer decides they no longer want to pay for hosting, their virtual tour will shutdown and display an error that they need to enroll billing in order to display it on their website. Create custom virtual tours in minutes and earn recurring profits.